“More” is the motto of many in business. More sales, more profits, more money seems to be the true mission statement of many in Corporate America. The “Bigger is Better” philosophy has permeated our culture so much that many haven’t realized that “More” can lead to emptiness. If you’re caught up in the fast treadmill of “more” in your work life, I suggest you pause and reflect on the fact that God has a mission higher than profits. What’s His true mission for you? Your gifts help individuals discover and fulfill their God-given purpose. Click here to donate. 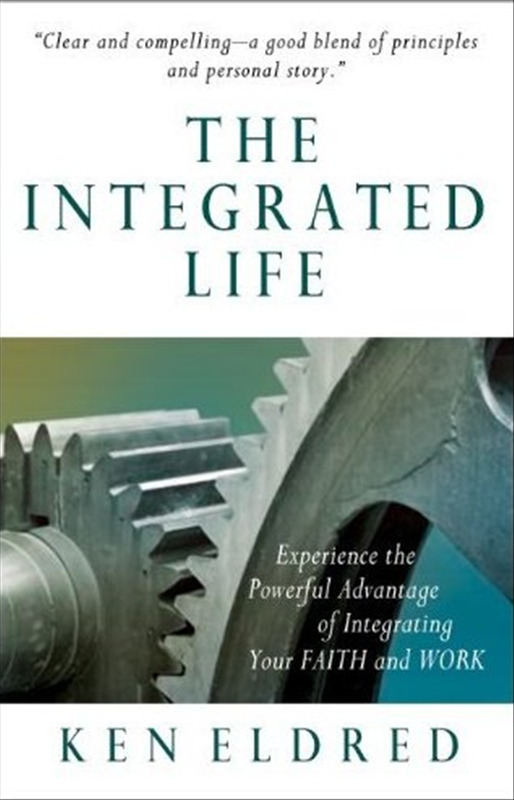 Integration is the key to changing that mindset and thus “redeeming” the vast majority of our time, the hours devoted to work. When our work is a holy calling and a ministry, it’s loaded with spiritual significance. All that time we spend at work has spiritual value. So while balance alone might redeem some hours, integration can redeem far more! Purchase here.